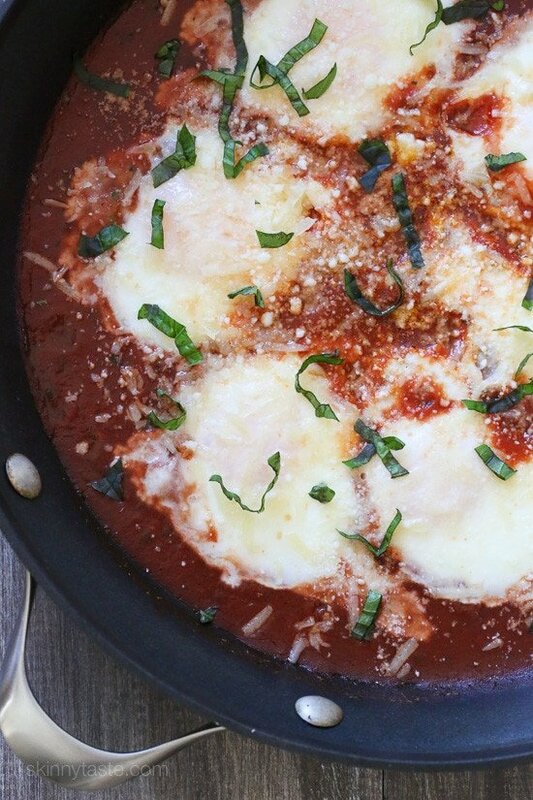 When you poach eggs in a flavorful tomato sauce and top them with fresh grated Parmigiano-Reggiano and Pecorino Romano cheese, you’ll think you’re having the best tasting raviolis ever! Get a crusty whole grain baguette and you have yourself a meal, perfect for brunch, lunch or dinner! This recipe was slightly adapted from The Staten Italy Cookbook; Nothin’ But The Best Italian-American Classic from Our Block To Yours. As a New Yorker myself, I’m pretty picky about Italian food. These eggs were out-of-this-world GOOD! The book has a funny story with every recipes and flipping through it will make your tummy growl! I didn’t sway too much from the original, simply cut back on the olive oil and rather than finishing it in the oven, I did the whole thing on the stove. The book suggests not to wear white when you make them (ha!)! Such a great, simple, inexpensive meal that’s ready in about 25 minutes! In a large nonstick skillet, heat 1 teaspoon of oil over medium heat and saute the garlic until golden, about 1 minute. 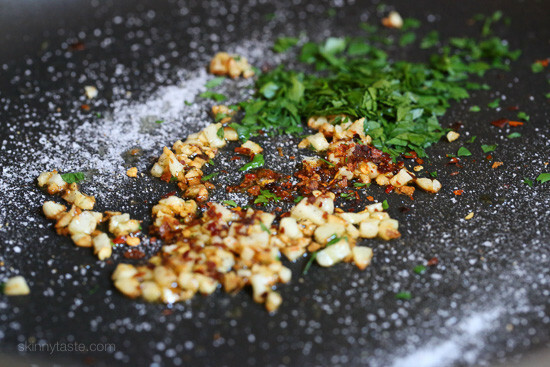 Add the salt, black pepper, red pepper flakes, and parsley and stir. Add the tomatoes, chicken broth and bring to a boil. Reduce heat, add the basil and simmer 5 minutes. Gently drop in the eggs keeping the yolks in tact, top with 2 tbsp of the Parmigiano Reggiano and 1 tbsp of the Pecorino Romano. Cover and simmer on medium-low 10 to 15 minutes, or until the eggs whites are cooked through and no longer runny. I listened to the reviews and still overcooked my eggs but they were so delicious it didn’t matter.So thankful for your delicious tasting recipes!! !It really helps to use the shopping list as I always have what’s needed for my meals. Love this dish! It is so unexpectedly delicious! Any suggestions on what to eat with this other than bread? Over quinoa? I’m not sure how old is your website. I guess I started following when I was in high school, meaning 8 years ago. Every time I want a light, great recipe I return to your website and always find great recipes. This was delicious and easy to throw together. Thank you for sharing your wonderful recipes! Are you adjusting your Smart Points according to the ‘Freestyle WW program’ that started in December, 2017? Made this for dinner tonight and it was so delicious! Substituted diced tomatoes for the crushed tomatoes and it came out great. I have made this dish about a handful of times and my family loves it especially with huge chunks of bread! Great recipe! Made this over the weekend and it was incredible! I cooked the eggs for the full 15 minutes, so the yolk was solid. But it really did taste like Ravioli! The sauce was perfection and the cheese was just right. Thanks Gina! From reading the comments, it seems that the yolks are supposed to be runny. I just made this and mine were not. It was very yummy, different, but yummy. I will attempt again but try to cook the yolks for less. I recommend to all Skinnytaste Lovers! Thanks again Gina! Great! Sounds like it needed slightly less time, they can get firm real fast. I’m on a sodium restricted diet. 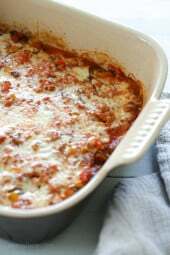 Is there any way to reduce the sodium without compromising the recipe? It looks so good! Just made this for lunch with just 4 eggs and adjusted the other ingredient amounts correspondingly. . Cooked eggs for 15 minutes. I turned out perfectly. We enjoyed one crusty roll with it. What a healthy, filling meal! And best of all my husband loved it . This was fantastic! I followed the recipe exactly except for I didn’t drizzle with olive oil at the end. I don’t know if the yolks were supposed to be runny, but ours weren’t (which I prefer). This one is definitely a keeper! I loved this! Just made it. I used a bit more crushed tomatoes, and let the egg yolks cook all the way through since I don’t like runny yolks. It was a fantastic, low WW point dish. This was fantastic! 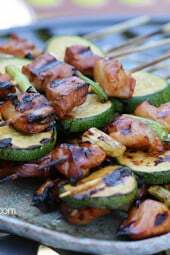 So simple, inexpensive and healthy that I would never have guessed it would turn out so good! Made the whole thing for about $2!! I think the heavy garlic and a little red pepper flakes provided the key flavor components. I don’t usually like dishes comprised mainly of tomato sauce, but my husband does, and we both loved this! I’ve made this a few times last fall/winter and doing it again today. Didn’t deviate from the recipe and each and every time I make it my son rants & raves about how delicious it is. It’s filling and I always make sure I have leftovers. Thank you for a quick & delicious recipe! 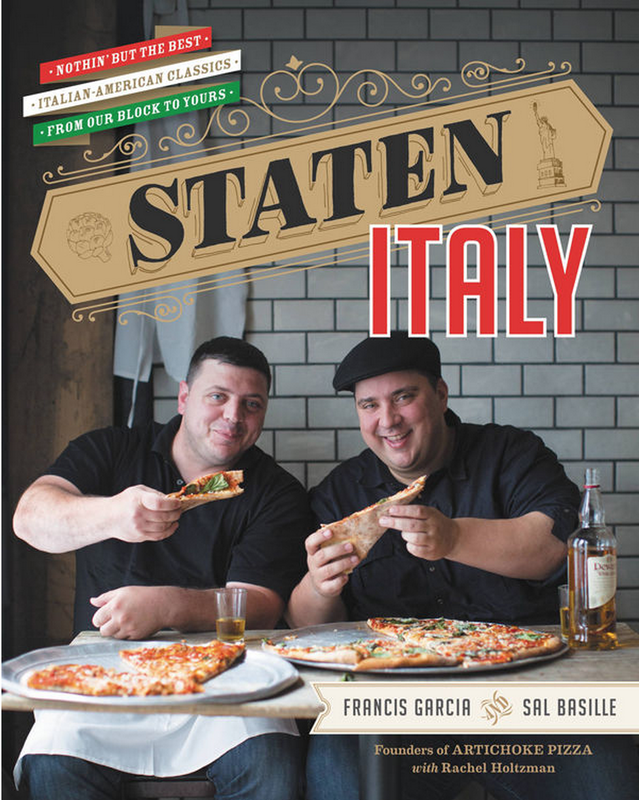 (Part) Italian NYer here. I have had these eggs at restaurants and also made a different recipe for them at home before. Loved this recipe! I did overcook the eggs but that’s because I didn’t set a timer and I have a tendency to overlook things! My 2 year old and husband loved it! I’m not a fan of runny yolks at all, but I think a little over cooking will be okay. It looks really good! Delicious and easy! I made homemade meatballs to go with it. I cooked the eggs too long so next time I’ll try only 10 min. It’s amazing how flavorful the tomato sauce becomes – essentially, you’re making a tomato sauce in like 20 minutes. 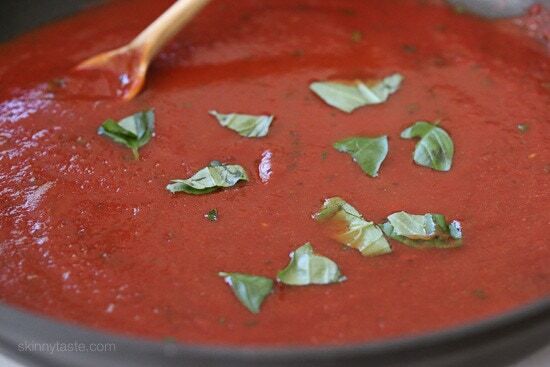 I could see making this tomato sauce for other purposes as well and no preservatives or chemicals. I could also see adding dollops of part-skim ricotta to this – I’ll try that next time! AMAZING!!!!!! I had this filed since the post came out. Can’t believe I waited so long! This is a great dish for brunch! Simple, fast, tasty and guiltfree! BRAVOOOO GINA! Did NOT think I’d like this recipe but was intrigued and tried it last night. Had never contemplated adding eggs to a “spaghetti sauce” like dish…But I have to say, LOVE LOVE LOVE It! Will be making at least a couple times a month for sure! It’s just so easy! This was amazing!! My kids were fighting over the last bit in the pot. I am so glad I came across this recipe! This was delicious! My Italian husband was thoroughly impressed! I served it to him with angel hair pasta. My three year old also LOVED it- she normally doesn’t eat the yellow part of the egg (like me 😉 ) but she did tonight. 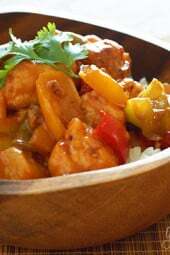 Delicious recipe- thanks for sharing! I made this last night with leftover Sunday sauce (very similar to this recipe) and OMG. So delicious. Reheated today for lunch and just as delicious. Highly recommend. It was very yummy but it calculated to 7 smart points when I entered your information, the sauce was delish but I over cooked the eggs. I had 40 minutes to get something on the table and my teenager out the door, so this recipe fit the bill from a time perspective. The bonus was that it was super delish! I made this today and it was one of the best things I have ever tasted. I used on of the other sauces on your site since I had some leftover. Soooooo good!! This looks delicious! I never would have thought of this recipe. I want to try it! I made this with Hunts 4 cheese sauce. I cooked it for just under 10 min and it was cooked through. Next time I will reduce the cook time so the yolks will run but it was still very good. I did top it with garlic powder and a drizzle of olive oil. Made this the other night. Quick, easy, and delicious! My husband thought the eggs tasted like ravioli. This was very, very good! My four year old girls asked to have it again! I did use dried parsley instead of fresh, because I didn't have any. I would say it is very important to watch this, I let it sit a little too long and the eggs were slightly overcooked but it was still delicious. Next time I will make sure they are runny and I bet it will be even better. Thanks for the simple recipe! Awesome, I love this dish! It looks delicious!I'm gonna make this right now,can't wait from tasting it. I definitely sure that it's so much tasteful & healthier.My family favours to this type of cook & I must will serve it to them once. 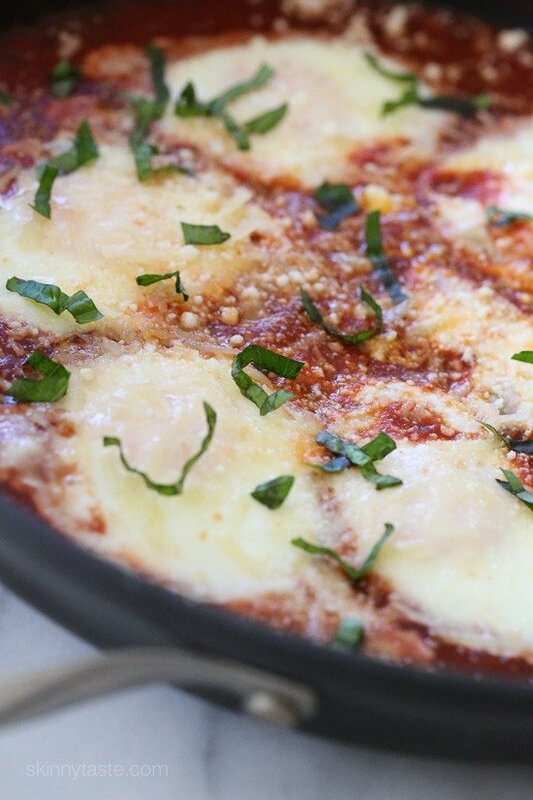 Cool recipe!Thanks for share this eggs pizzaiola. Last time I prepared chicken fajita pasta from your recipe & all praised after tasting it. Really you're a great cook! I'll wait for the next recipe. I'm Sicilian and this was better than what I had as a kid! It's easy and yummo. Don't forget to break the yolks and then dip the bread! Wow, so glad you liked it! Now that is dinner tonight!!! Wow! I haven't made this in years! I always thought it was something my grandma made up! So happy to see this. Bringing back memories. BTW I can eat a whole loaf of bread with this meal! So if you're watching your points be mindful of the amount of bread you eat. This looks like the perfect guiltless brunch for one of my cool autumn days in Zurich. Thanks for sharing. Absolutely, undeniably delicious! It was so easy and inexpensive to make that I doubted it would taste good. Shame on me. My mother immigrated to the US from Italy, during WW2 she often served this dish for supper because meat was a scare. It was good then and still is. 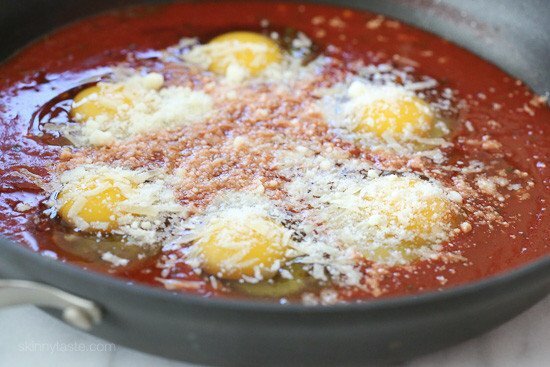 Looks awesome, really want to make this but how would you prepare this for one, outside of preparing sauce and the then removing all (to save) and then add the two eggs? Hi! I just made this for one last night. Basically, I decided that three eggs would be alright for me since I wasn't having much else for dinner. I just halved the entire recipe. I don't usually measure the smaller things out (cheese, parsley) so I just used 1 cup of crushed tomatoes and 1/8 cup of broth. I cook only for myself…would this recipe be good reheated in the microwave, or is it best to only serve all at once? The eggs will reheat fine as long as you don't mind the yolks cooked well. I am a born and raised Staten Islander.. and my family had a version of this dish.. eggs and peas.. very good and filling…. The family loved it! Great meatless Monday dinner! Thanks Gina! This is similar to shakshuka, check out recipes for that. I can't wait to try this Italian version! That's what I was thinking too! Love Shakshuka!! Thanks for this new version Gina!! If it tastes as good as it looks, this is something for a poached egg lover like me. Thanks. I am tired of people saying it LOOKS good, I want real reviews, people who made it and ate it….please. Well, since the recipe is newly posted, you won't comments about how it tastes. DITTO!! Try it as is and THEN comment!!! i made this and I can astest to its goodness. My eggs did get cooked through but it was still delicious. I plan on making it again soon to eat for breakfast at work. I made it and it was delicious! I did have some trouble figuring out when the eggs were done so a few of them came out overcooked but still good. Is 2 eggs plus the sauce 3 servings or 1 serving? At the top where it gives the WW points, it says the serving size is two eggs plus sauce. Since there are six eggs, I think the whole dish serves three people. I may try making this in a one-serving size using a smaller pan. I would use individual mini casserole dishes to make serving easy. sounds like delicous, Great idea, I have one question : is eggs take same time to be cooked as other pizza ingredients? This recipe looks like perfection!! Crusty bread is an absolute must <3 Love it! I love the idea of dipping crunchy bread into this! Going to have to try now that the weather is getting cooler. This looks so interesting! Will definitely have to try this. I have a quick question though, are the yolks supposed to be cooked through, or do they stay runny like a normal poached egg? 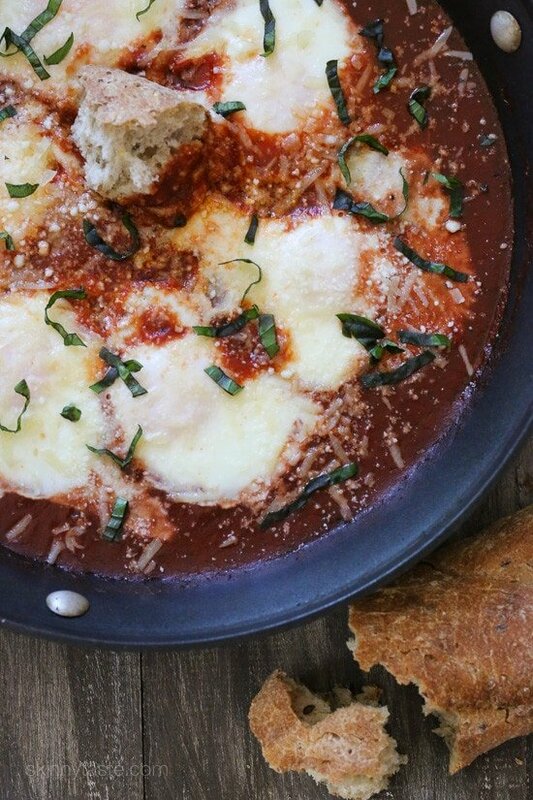 I had a delicious baked egg dish over the weekend and I'm hoping to make something similar for dinner tonight. This recipe looks perfect and easy. Can't wait to try it! Lucky you for the fresh eggs. !!! There is nothing like them. This sounds delicious! I am on attempt #410 (roughly) to get my eight year old to like eggs in some form. This one might be the one! If this doesn't work, try the Caramelized Onion, Red Pepper and Zucchini Frittata. That's how I got my kid to like eggs. Don't sweat the small stuff. My baby (now 23) wouldn't touch an egg as a kid. Now he eats them by the dozen in every way possible, even on top of his hamburgers. We all grow into our tastebuds. My favorite foods today are things I wouldn't have dreamed of eating even 5 years ago. This recipe I found about 10 years ago and the combo did not sit right with me. But a few years later I was more open to it. I tried it and it was a revelation. Simple ingredients, ready in a flash and so satisfying. Used to hate eggs myself until I started buying ONLY local farm eggs and now I eat them all the time! Found a lady about 15 min away that sells them only $2.50 a dozen and go through at least a couple dozen a month!